An action-packed, blood-soaked, futuristic debut thriller set in a world where the murder rate is higher than the birthrate. 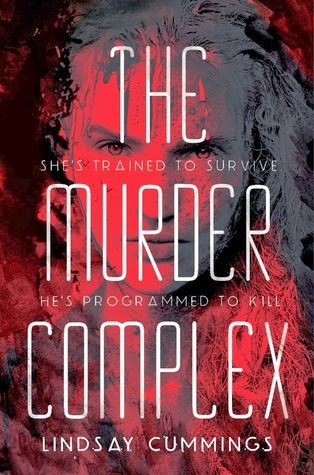 For fans of Moira Young's Dust Lands series, La Femme Nikita, and the movie Hanna. 1) I adore Lindsay Cummings' Twitter feed and cannot wait to check out her novel. 2) I'm a sucker for any book with a heroine who knows how to fight and defend herself. 3) Even though it reminds me of a few other books I've seen, it looks like an interesting dystopian tale. What do you guys think? Are you excited for The Murder Complex?